5 Reasons for Trucking Accidents in Florida - Law Offices of David M. Benenfeld P.A. Even though there are more passenger vehicles on the road than semi-trucks, the risk of a fatal accident with a semi-truck is high. Semi-trucks weigh significantly more than a passenger vehicle, therefore, even a slow-speed impact can lead to catastrophic results. Each year, thousands are injured in accidents with semi-trucks and hundreds are killed. Often, these incidents are preventable, and the causes of these incidents fall into five common categories. Truck drivers may be at fault for a vast majority of incidents, but they are not the only ones. Often, passenger vehicles can also cause these accidents. Regardless, when these incidents occur, there are five common reasons why. Driver Fatigue – Whether it is the driver of the semi-truck or passenger vehicle, drowsy driving is equally as dangerous as drunk driving. Semi-truck drivers are often left on the road for long hours. When drivers fail to follow the federal driving hour guidelines, they put the public at high-risk for an accident. Motorists today are also getting less sleep, which means that drivers of passenger vehicles could be drowsy at the wheel, doze off, or have slowed reaction times that lead to an accident. Distracted Driving – Distracted driving is a growing problem in the United States. For semi-truck drivers, it can be easy to become distracted – especially with multiple pieces of equipment, screens, and other items taking their eyes away from the road. Equally, passenger vehicle drivers can become distracted from talking to passengers, adjusting the radio, or talking and texting on their phone. Poor Truck Maintenance – Semi-trucks must be maintained properly to ensure safety. When air brakes, electrical systems, and other safety components are not monitored and repaired as needed, catastrophic accidents can occur. Speeding – Speeding is dangerous in any vehicle. But when you add the extensive weight of a semi-truck combined with high speeds, the results of any crash will be devastating. Sometimes, truck drivers speed to meet delivery times and demands from employers. When truck drivers are reckless enough to speed they can be held responsible for any injuries they cause. Tailgating – Semi-trucks need much more space to come to a safe stop compared to passenger vehicles. When a truck driver tailgates a passenger vehicle, he greatly increases the likelihood that he will rear-end the leading vehicle. Inexperienced truck drivers may not know how much space to leave between vehicles, especially when weather conditions are not ideal. 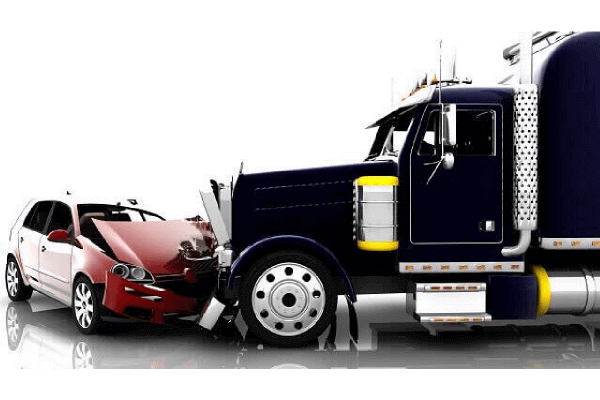 Options After a Truck Accident – Can You Collect Compensation? Regardless of the case, if you have been injured in an accident with a semi-truck, contact a truck accident attorney. An attorney from the Law Offices of David M. Benenfeld P.A, P.A. can assist you with your case. We know how insurance companies are, and we know how aggressive the trucking company will be at putting the blame on you, the victim. Our attorneys have experience handling these complex types of cases, and we will protect you and your right to compensation. Schedule a free consultation with our office today by calling 954-677-0155 or request your free, no-obligation meeting online. Accident Compensation – 5 Ways to Ruin Your Settlement How Does PIP Insurance Work in Car Accidents?